When compared to visual programming, C/C++ programming is a convenient way either to learn or understand the constraints of real-time systems programming. 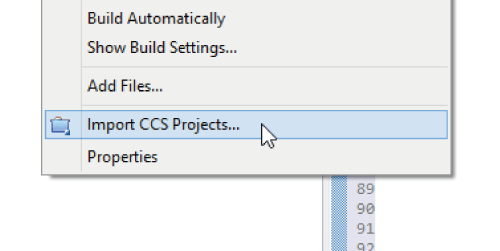 For advanced users, C/C++ is a must for complex projects thanks to its flexibility. 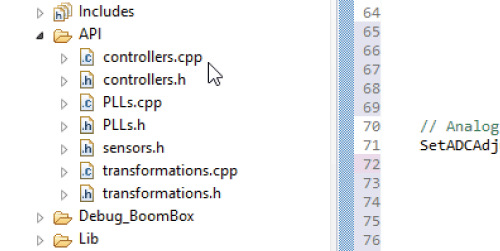 The BoomBox is best used with the C/C++ programming workflow. Such an approach provides a quick way to start programming a power converter prototype without requiring additional software or licenses. Besides, that’s also the approach that offers the most flexibility, tunability and the best overall performance. Each BoomBox is shipped with TI Code Composer Studio™ development environment, which is the market leader IDE for real-time embedded applications. Along with this, the BoomBox OS provides software libraries and helper functions to provide a better coding experience. 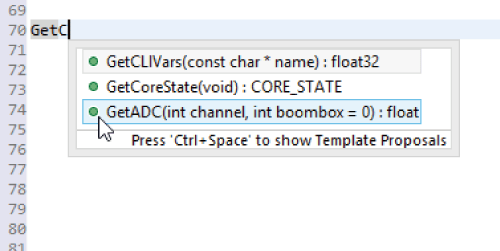 With Texas Instruments’ Code Composer Studio™ and our library functions, you’re only few steps away from a successful implementation of your control on the BoomBox. Download the base template from the customer area the website and import it into Code Composer Studio. All environment parameters get configured instantly along with the function libraries, licensing and the latest version of BoomBox OS. 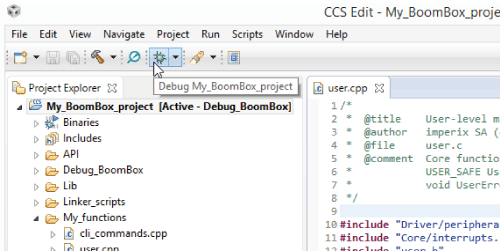 Compile and launch your code using Code Composer Studio.™ This action loads the compiled project in the RAM memory, which provides a simple way to have your code running inside the BoomBox within seconds. Alternatively, if you want the BoomBox to be able to boot in standalone, BoomBox Control allows you to save it to Flash. That way, the BoomBox will automatically boot when you power it. Debug and test your code. 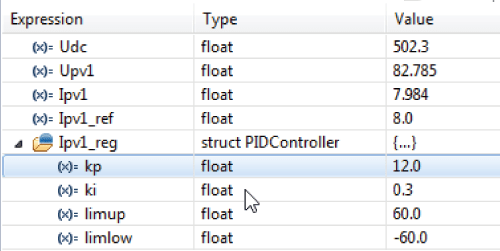 If you are looking for a basic (but effective) way to access to all variables, Code Composer Studio™ provides a debugging module that starts automatically when you launch the code. It can give you a detailed overview of what is happening inside the process. However, if you want to focus on your control implementation, you’d prefer to skip the step and rely on a fully dedicated software. A dedicated utility, BoomBox Control, is part of imperix’s software suite. 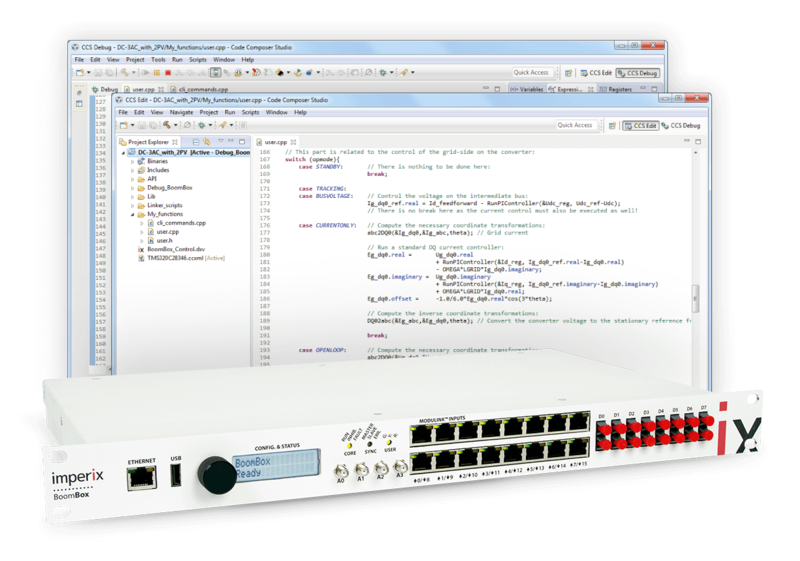 It offers test, debugging and monitoring features, tailored for power electronic applications. 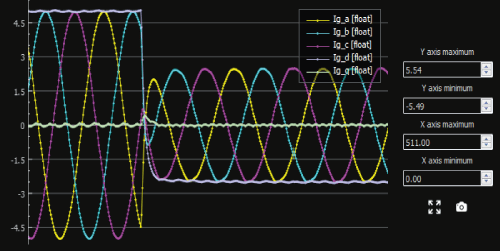 Using it, you will be able to plot any variable, tune your controllers online, take oscilloscope-like shots, generate transients on your setpoints, etc.